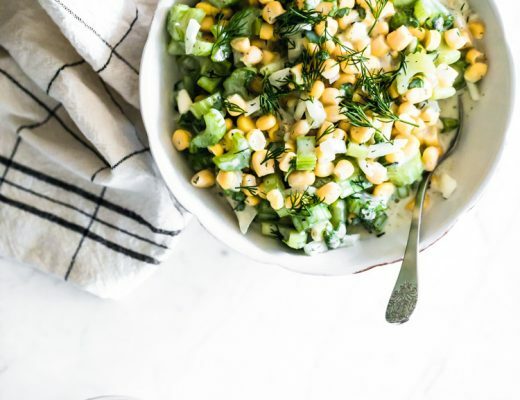 This is my favorite side dish and snack for a little while. You might already know how crazy I’m about spices and herbs like I already mentioned here a bit. 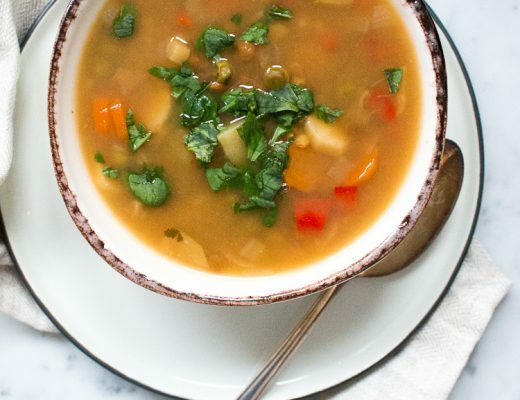 I realized the other day that I really need to share this simple recipe with you. 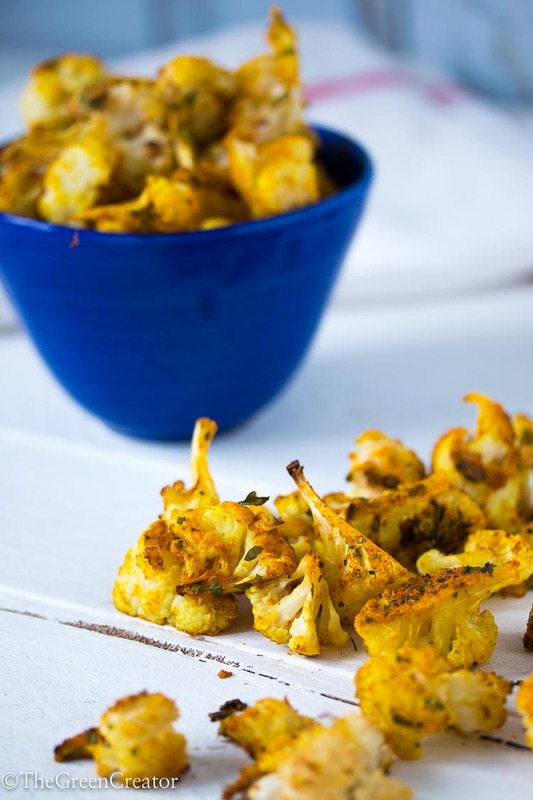 The spices turn simple cauliflower florets into a true healthy treat. 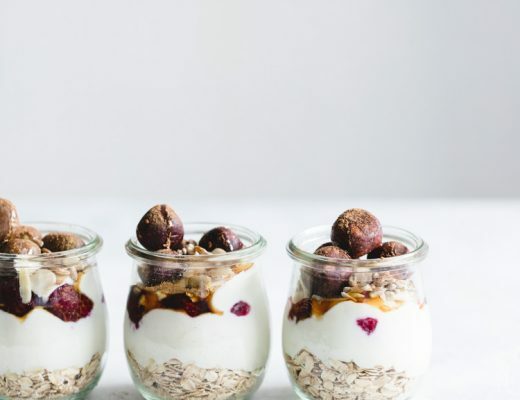 I make this in batches for the next day so I can easily add it to my lunch (salad), dinner or just snack away. Have you ever tried curried cauliflower? I would love to know in the comment section below or tag #thegreencreator on Instagram. 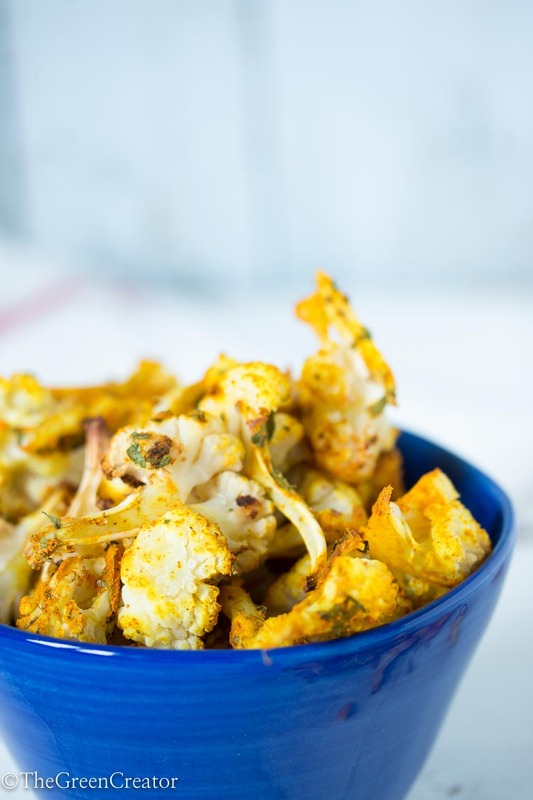 Curried Cauliflower is a very easy snack or side dish. The herbs and spices turn cauliflower into a real healthy treat. 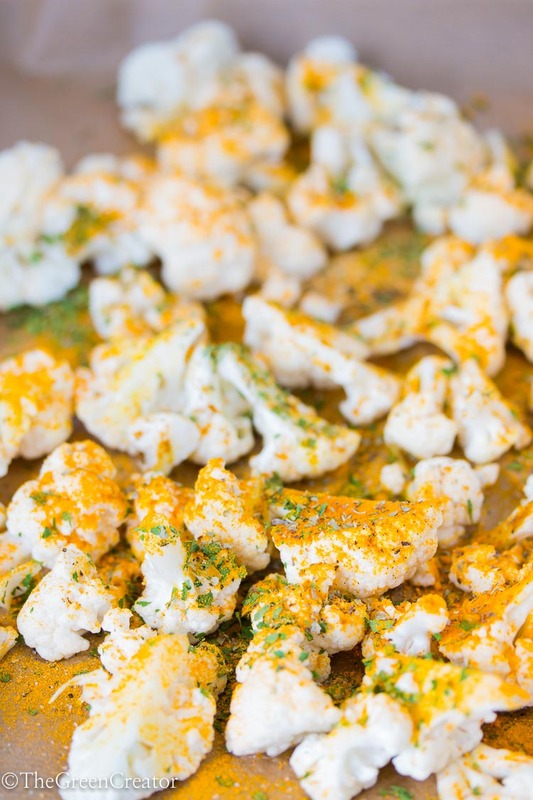 Add the cut cauliflower to a baking tray and sprinkle over spices. Drizzle with olive oil and salt. Toss it together with your fingers. Roast in the oven for 25-30 minutes until golden and spicy. 🙂 I hope you will love it too!